Know where you want to live on the tube network? Good for you. 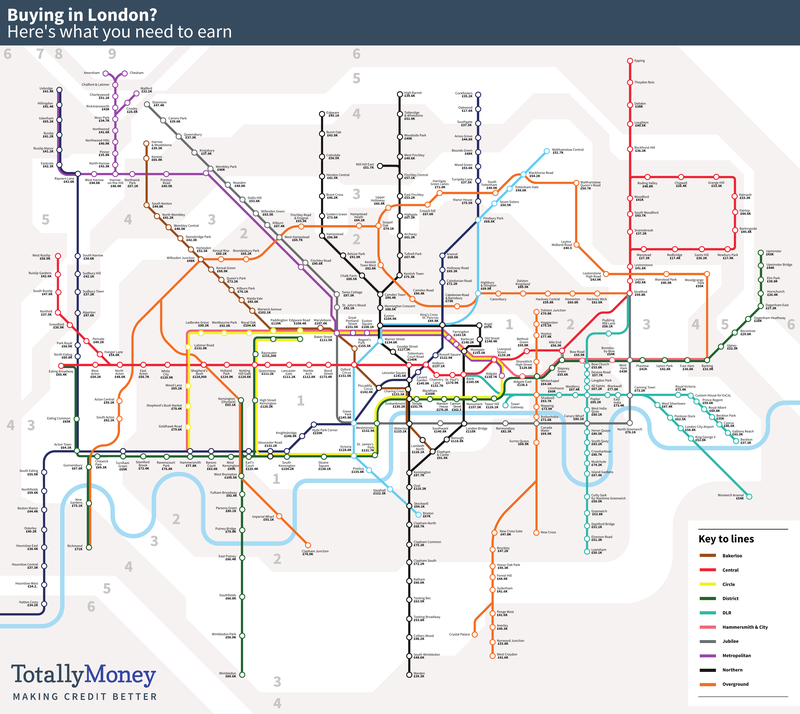 Totally Money has created this handy map, which tells you what kind of salary you'll need to be earning to attain that dream location of yours. 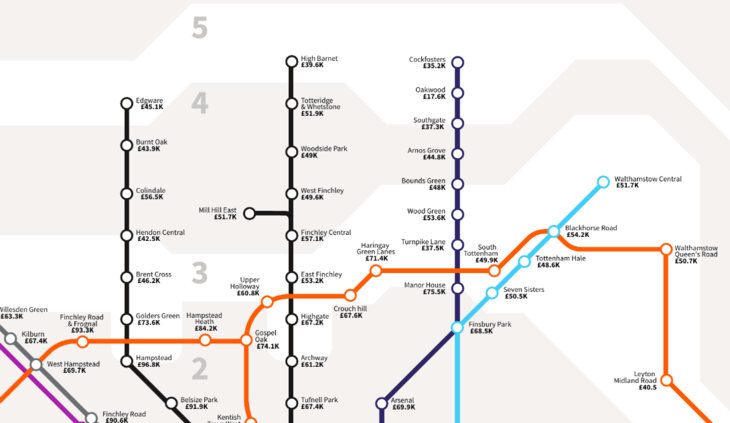 The required salary for each station is deduced by taking the median price of one-bedroom properties available within one kilometre of each station. An initial 10% deposit, and 40% of earnings spent on monthly repayments on a 25 year mortgage is applied. Naturally, it makes for the kind of (map) reading that causes your heart to sink through your stomach, dribble down your trouser leg and melt at your feet in a throbbing bloody puddle. Even in the far flung hinterlands at the ends of various lines, you're looking at needing a very handsome salary: West Croydon is £41.6k. 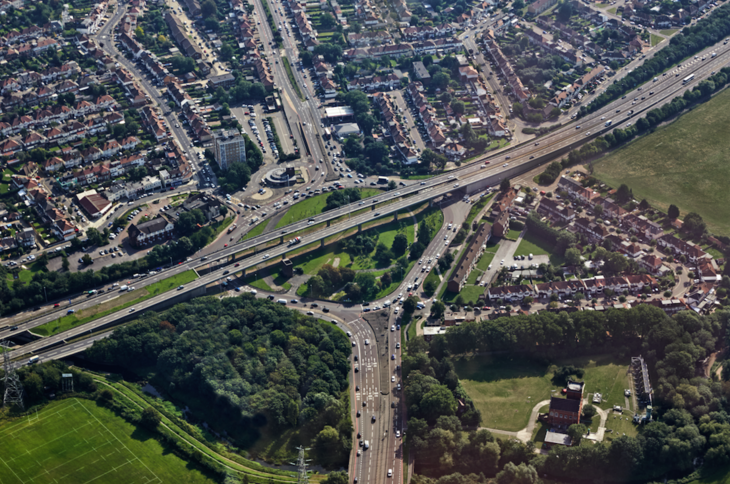 Edgware is £45.1k. 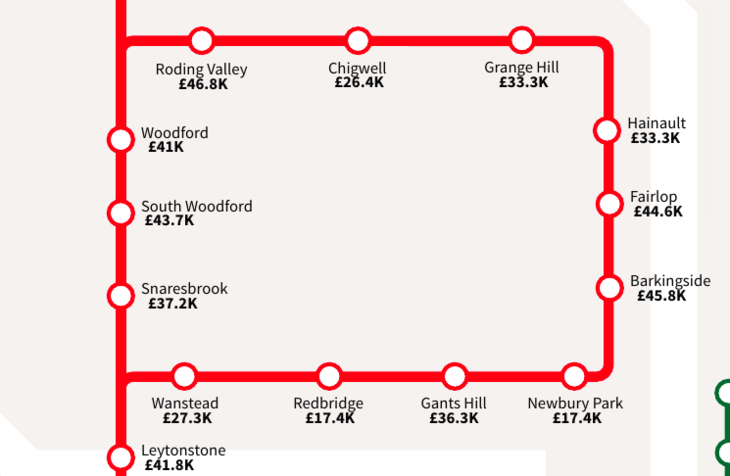 Woolwich Arsenal is £54k (Yeah THANKS, Crossrail). 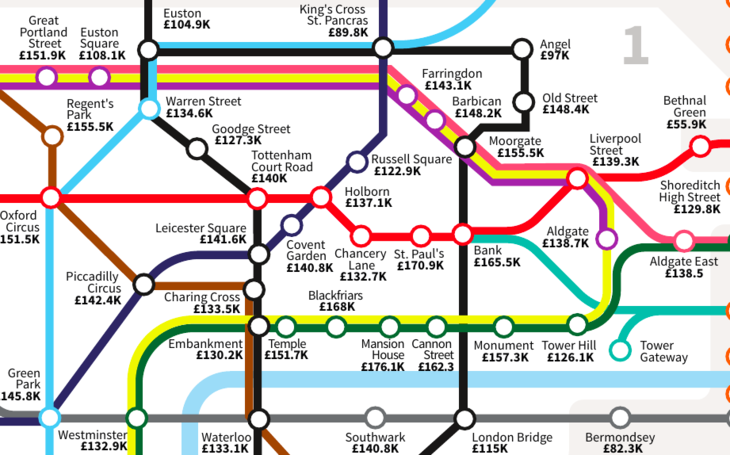 Ealing Broadway is £65.4k (THANKS AGAIN, Crossrail). We've all become so numbed by this silly game of Houses, we barely flinch when we see that it takes an annual £170.9k paycheque to buy close to Bank (what kind of weirdo lives near Bank anyway? ), and that you'll need £248.6k — which elsewhere in the UK buys you a couple of houses outright — to live in the priciest area, near Knightsbridge station. But then, even we did a few double takes. Really, REALLY can you afford a one-bedroom flat in Newbury Park, Redbridge and Oakham on £17.5k a year? Times that £6,112 by 25 (length of years on the mortgage) and you get... £152,800. Tell you what, we'll even add on 10% for the deposit (even though we assume the 25 year mortgage is on top of the 10% deposit), so a generous £168,080. And how many places in Newbury Park, Oakham or Redbridge are there for £168k? Rightmove shows ONE property that fits the bill for Newbury Park. But it's offers in excess of £114,995 — so could veer over our £168,080 maximum. Oh, and it's a retirement flat. So you'll need to be 60 or over. Or maybe just well off enough to retire already. In which case you won't be reading this article. As for Zoopla — YES! 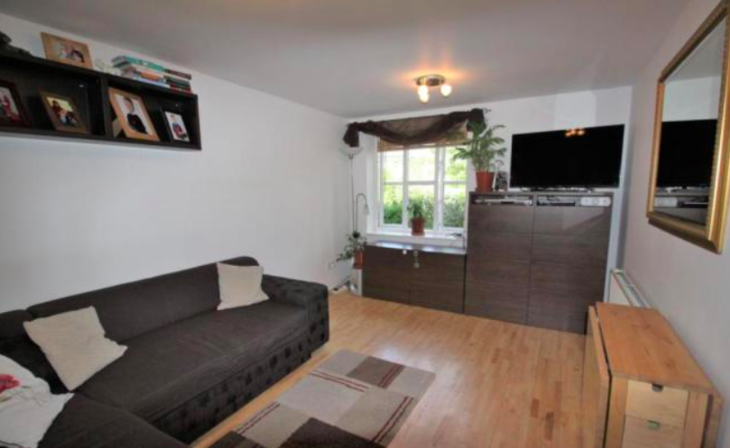 This one-bed flat is a snip at £150k, and just 0.5 miles from Newbury Park station. Oh, except it's already sold. For £170k. As you were. On Rightmove — YES! Oh, sorry, we mean NO! Two properties fit the pricing criteria, but are for retirees only. 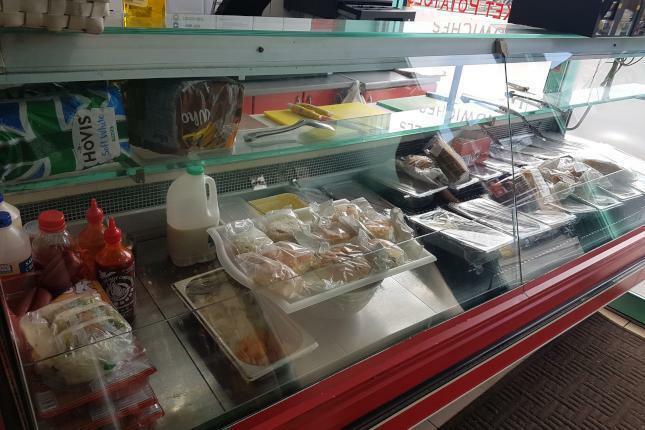 Over on Zoopla — JACKPOT! 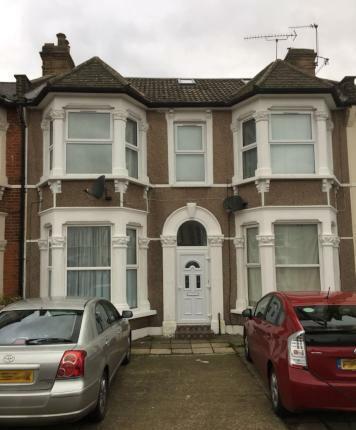 A place for just £60k! Is this the real life? Is this just fantasy? Actually it's a sandwich shop. And no beds unless you kip in the sink. Which health and safety might have something to say about. Everything else is retirees only. Man, we can't WAIT to be old. On Rightmove — ZING! A beautiful(ish) one bedroom apartment for £120k. Fetch my wallet, while we peruse the small print, although pretty sure this is going to be all fine and dandy... ohhhhhh. That's £120k for a 40% shared ownership. As for Zoopla — it doesn't even recognise Oakwood as a place in London. We've had enough of this. A £248.6k salary to afford Knightsbridge, we can believe. But £168k for a one-bedroom flat anywhere in London? That's just silly money.